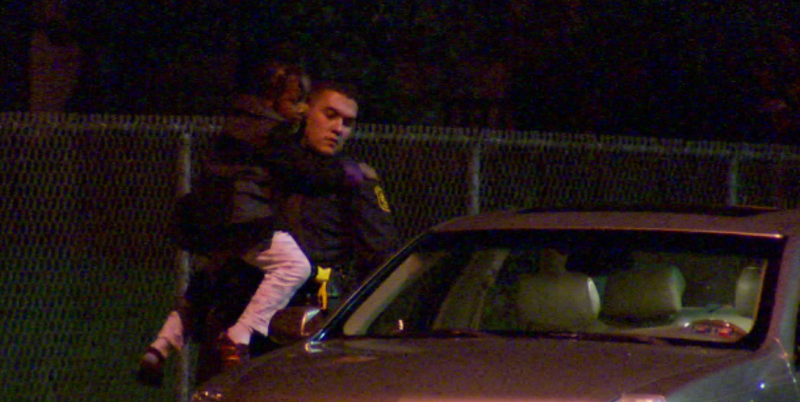 Pittsburgh Police helped track down a 5-year-old girl who was allegedly abducted by her mother. Police say 42-year-old Latoya Lyerly had a visitation with her daughter at a homeless shelter in McKeesport on Sunday. A family member dropped the girl off at the shelter in the morning, with the understanding the girl had to be returned by 2 p.m. However, the family member did agree to drive her to North Homewood Avenue. The complaint says when they were stopped at an intersection, Lyerly grabbed her daughter and started running down Monticello Street. Eventually, a police officer stopped Lyerly at the intersection of Frankstown Avenue and Sterrett Street. At that point, police say Lyerly was yelling at her daughte to “run.” Her daughter started running, but was caught a short time later by officers. The 5 year old girl was not harmed. She was returned to her foster family around 2:00 this morning. Latoya Lyerly is in the Allegheny County Jail facing charges of interference with custody of children and endangering the welfare of children. This entry was posted in Uncategorized and tagged Abducted Child, Allegheny County, Canada Abducted, Child abduction, Foster Child Abducted By Mother, Latoya Lyerly, Parental Abduction, Parental.Kidnapping, US. Bookmark the permalink.